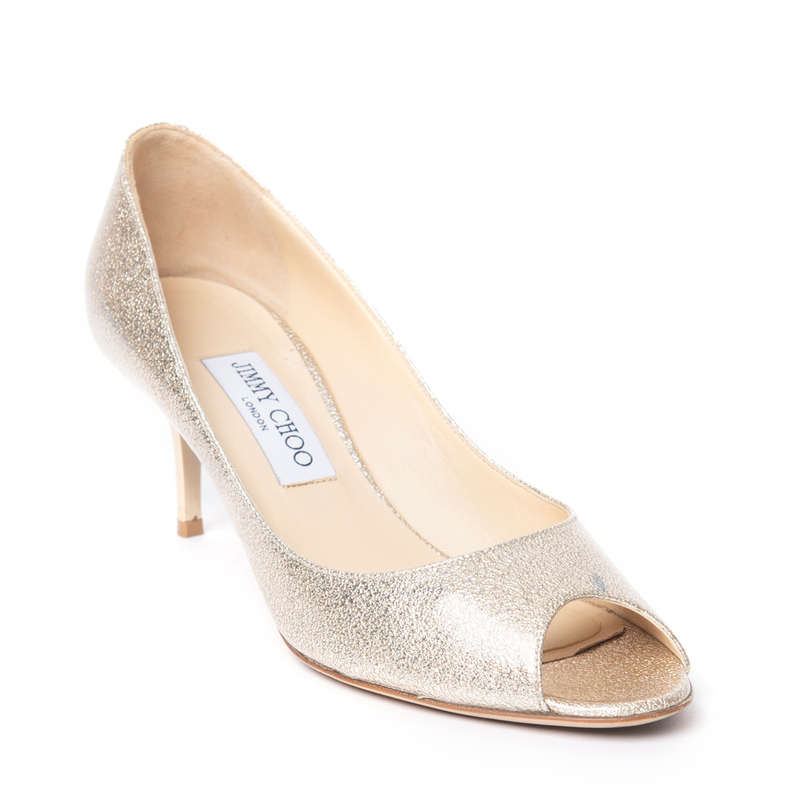 Glitter and glamour are what these Jimmy Choo pumps represent. 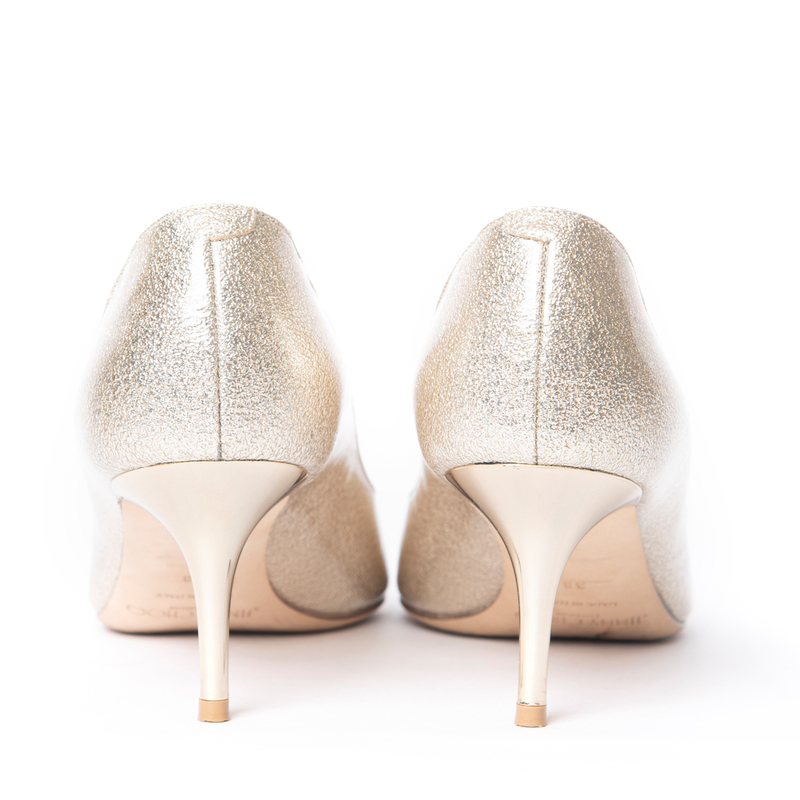 Crafted from textured patent leather, these pumps add sparkle to any outfit. They feature peep toe caps, beige leather lining and lightly cushioned insoles. They have a small heel, making them perfect for regular wear and can be paired up with both ethnic and western attire. The right shoe has blue marks on the vamp. The leather out-soles show signs of gentle wear.